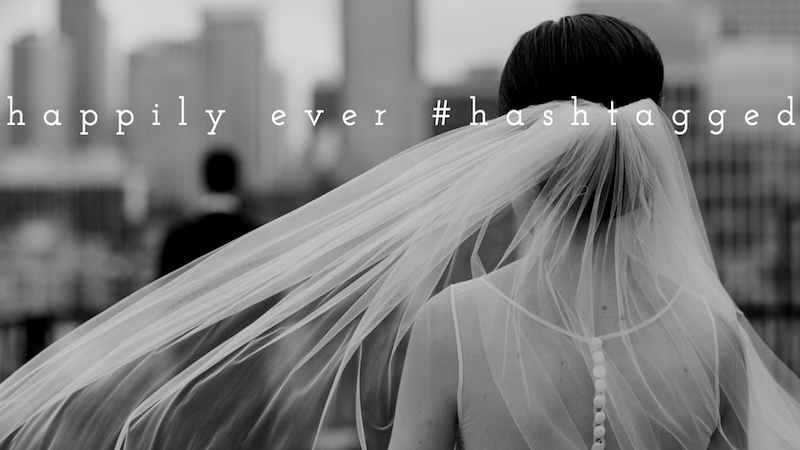 Would You Pay For a Custom Wedding Hashtag? Of all the annoying details one has to worry about while wedding planning, coming up with a wedding-day hashtag seems pretty low priority—something you could do in 15 minutes tops if you and your betrothed combine wits. Or you could pay someone like this woman who started a business for wedding hashtags. Her name is Carrie Bradshaw. Each client submits their names, the tone of the hashtag they want—“Funny, Sentimental, Simple, Clever, Anything is fine because I’m desperate”—and a survey that lets her know a little bit more about them. Her rates are $40 for a single hashtag and $85 for a set of three that the couple can choose from; Wakim also provides hashtags for other occasions, like wedding showers and bachelorette parties. She says her clients so far have all been millennials. Not to step on this smart business, but I will offer my services for a mere $20 per hashtag. Example: Tom Jones and Geri Lowell = #TomCaughtGeri.